Hello, it’s meI was wondering if after all these months you’d like to run. To run over everything. They say that time’s supposed to speed up ya, but I ain’t done much speeding. Hello, can you run with me? I’m on the street dreaming about where we used to run, when we were trail runner and faster. I’ve forgotten how it felt being fast as we were when we meet. There’s such a different pace between us and a million miles. Hello from the other side, I must’ve run a thousand times, to show you I’m better for everything that I’ve done but when I run you never seem to be on the road. Hello, how are you? It’s so typical of me to talk about my runs. I’m sorry, I hope that you’re running well. Did you ever make it out of that starting line where nothing ever happened? Good afternoon folks! Hope everyone is fine. I love Adele’s song Hello so, when I was listening to it while running, it came to my mind how amazing it would be to change it a little bit, to make it fit with my running history, which is basically more complicated than an actual relationship. Anyway, I guess it’s time to focus on the last goals of the year before planning 2016. The last runs I did went actually well, some better than other, but generally well. The stress of competition has somehow got me in November, but I’m glad it’s over. Now, time to focus on the next few miles. If we are friends on Nike Plus, you have notice my actual number of km is 1333. This means I have 167 km left to run if I want to close 2015 with 1500km, even though the actual goal was 1000 and was reached with a huge advantage. Anyway, I’m gonna do my best to finish the job and conquer those last km. Second, I haven’t got over the fact of running a marathon by the end of 2015. Cannot spoil anything, but a crazy idea is taking place in my mind. Soon more. Last but not least, I want to do my monthly km’s record… And finally reach those bloody 200km in a month. That’s it! 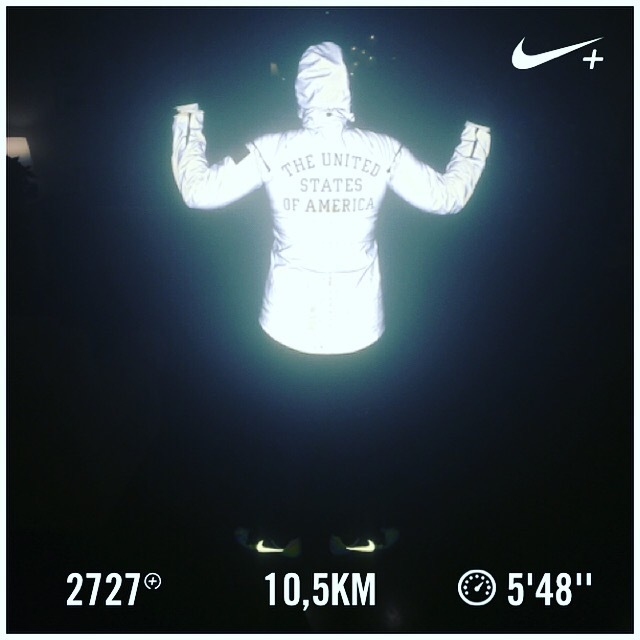 What are your running goals of December?